Just six miles from downtown Asheville and Biltmore is the only Japanese-style bath house and spa on the east coast. 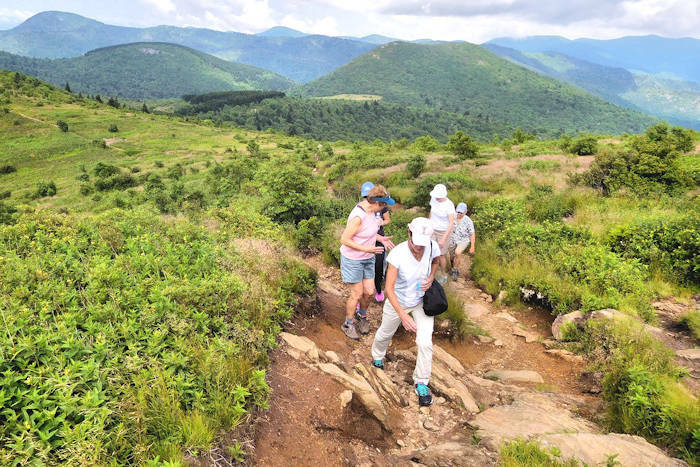 Shoji Spa is nestled in the Pisgah National Forest and adjacent to the Blue Ridge Parkway. Soak in your own private outdoor hot tub and enjoy a variety of massage and spa services. Take an invigorating cold plunge and unwind in the cedar sauna. It's an idyllic spot for getting away from it all with some well-deserved, therapeutic pampering. Doesn't that sound romantic? It's also popular for girlfriend's getaways. 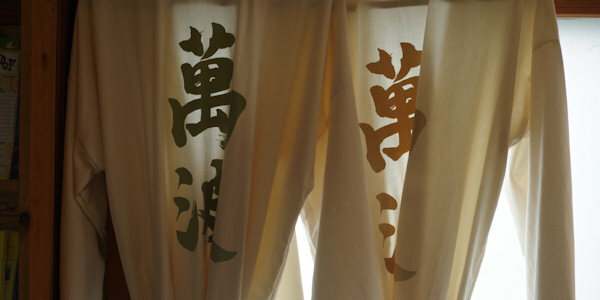 When you arrive, receive a Japanese robe (called a Yukata), sandals and towels. Begin with an aromatherapy shower with exotic bath soaps and lotions. 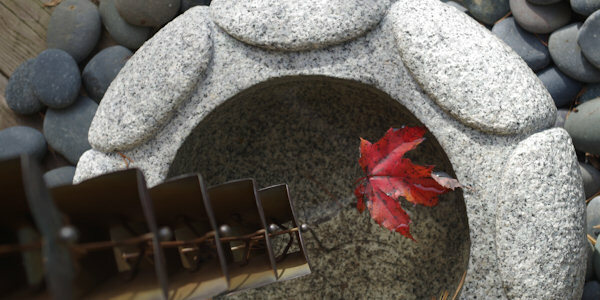 Your spa pass (from $45/person per hour) includes the Japanese cedar sauna, warm blankets and cold plunge. 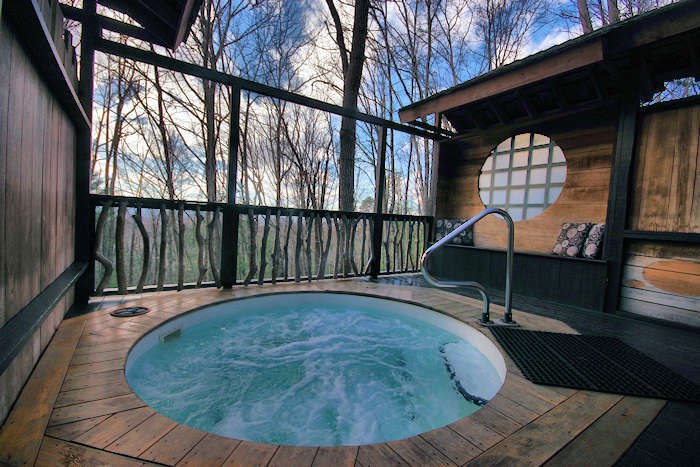 The five private outdoor hot tubs are beneath the canopy of the national forest. Soak and soothe your spirits with the ancient art of hydrotherapy. Bathing or hot tub hydrotherapy has proven effective for centuries. The therapeutic value of thermal water bathing has been used in medical treatments for hundreds if not thousands of years all over the world. Also, take advantage of their impressive staff of 20+ massage therapists at your service for a wide variety of spa treatments after a soak. They will create a custom experience to fit your likes and needs. And they have several couples packages, with seasonal specials. Make reservations in advance: click here to visit their Web site. After you soak and massage, why not just stay the night? 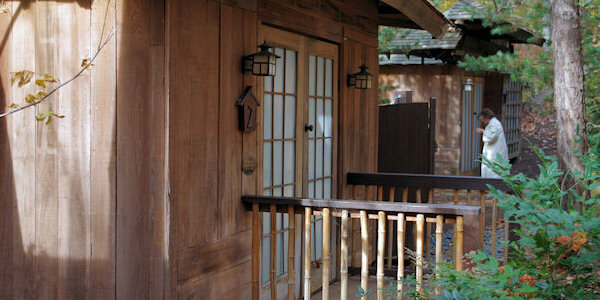 Shoji Spa & Lodge has four lodging options. House of Fire has two bedrooms, two queen beds and two full/queen futons in the living room area, sleeping up to six. House of Wind is an intimate space, perfect for a romantic getaway or a personal retreat. With its suite-style setting and king size bed. House of Moon is lovely, gazing across the tree tops of the national forest. Newly renovated, beautiful and cozy. Sleeps four. Be sure to make a reservation well in advance, especially if you want to visit on a weekend. Click here to visit their Web site. 3 hours of bliss begins with a one-hour private outdoor salt tub with a box of locally crafted aphrodisiac chocolates and bottle of Champagne. Then, relax with a side-by-side 90 minute couples massage with Japanese Shobu oil, plus your choice of body brushing or foot reflexology.